Sebastian Vettel admits being beaten to the 2018 F1 title by Lewis Hamilton in the Mexican Grand Prix was “a horrible moment”. Sebastian Vettel says losing out in the 2018 Formula 1 world championship to Lewis Hamilton in the Mexican Grand Prix was “a horrible moment”. The Ferrari driver went into this weekend’s race in Mexico City needing to win with Hamilton eighth or lower to have any chance of keeping his slim title hopes alive. Vettel passed Hamilton on his way to finishing second behind race-winner Max Verstappen, though a distant fourth place was enough for Hamilton to clinch his fifth world title. It’s a horrible moment,” Vettel admitted. “You put a lot of work in even if you saw it coming - but I didn’t pay attention in maths so I didn’t check the numbers, and you try to hang in there as long as you can. “I have had it three times now in my life, but there is still disappointment on the day you realise you can’t win the championship any more. 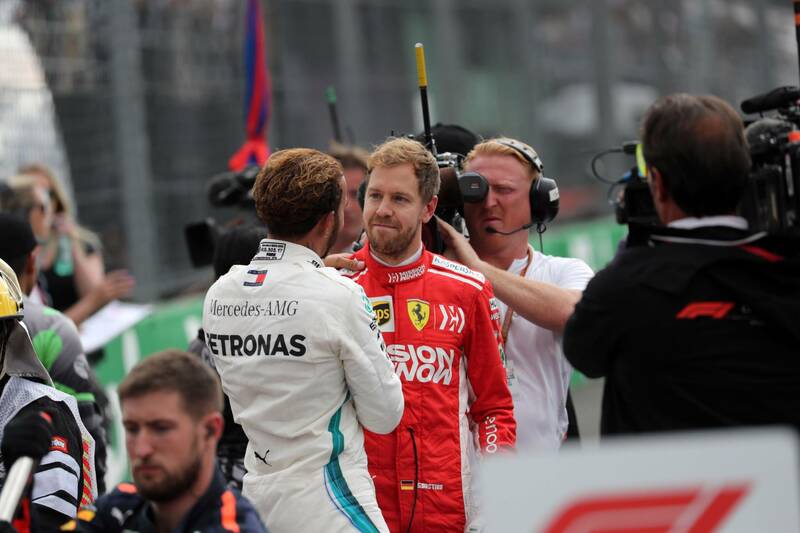 The German congratulated Hamilton in the immediate aftermath of the race, before going into the Mercedes garage to shake hands with team members, an act which prompted applause. Vettel conceded the “better man won” the championship and praised Hamilton for his “superb” performance across the 2018 season. “I congratulated him and I think he drove superb all year,” he said. “It was going to be one of us two, so I told him it was well deserved and to enjoy it, I told him number five is something incredible.